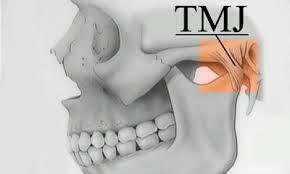 TMJ stands for temporomandibular joint. This joint allows us to bite, chew, talk, sing, yawn, etc. It is the joint that lies on both sides of your mouth and acts like a hinge between your upper and low jaw. According to the International College of Cranio-Mandibular Orthopedics (ICCMO), when this hinge joint becomes misaligned, it can cause severe pain and a variety of symptoms such as neck pain, headaches, migraines, shoulder pain, eye pain, vision loss, and even hearing loss. Many patients seek for TMJ relief for years. Temperomandibular joint dysfunction is a term often used to describe when the TMJ has abnormal movement and symptoms. This is usually due to a misalignment of the jaw causing pressure and pain in the nerve or muscles around the joint. This condition afflicts approximately 35 million Americans every year. The teeth are supposed to close neatly together when biting takes place. When the TMJ loses its ability to keep the teeth in the right position, the TMJD patient compensates by adjusting their jaw movements to affect alignment and improve their bite. Over time this causes overworking and friction in the moving parts of the joint, and pain, inflammation, arthritis, and crepitus can develop. It is nearly impossible to achieve a balanced bite without having your head aligned directly over your neck and shoulders. Crooked, cracked, missing or damaged teeth. Dentists especially trained by the International College of Cranio-Mandibular Orthopedics (ICCMO) and chiropractors trained by the National Upper Cervical Chiropractic Association (NUCCA) work together to help TMJD patients get relief. One of the first steps to realign your bite is to ensure that your head is balanced on top of your neck. If your head tilts to one side, your jaw swings to the opposite side causing you to grind your teeth. The same thing can happen if you have anterior head carriage. NUCCA upper cervical chiropractors literally get your head on straight to give you a better chance of having proper biomechanics in the temperomandibular joints and a balanced bite.